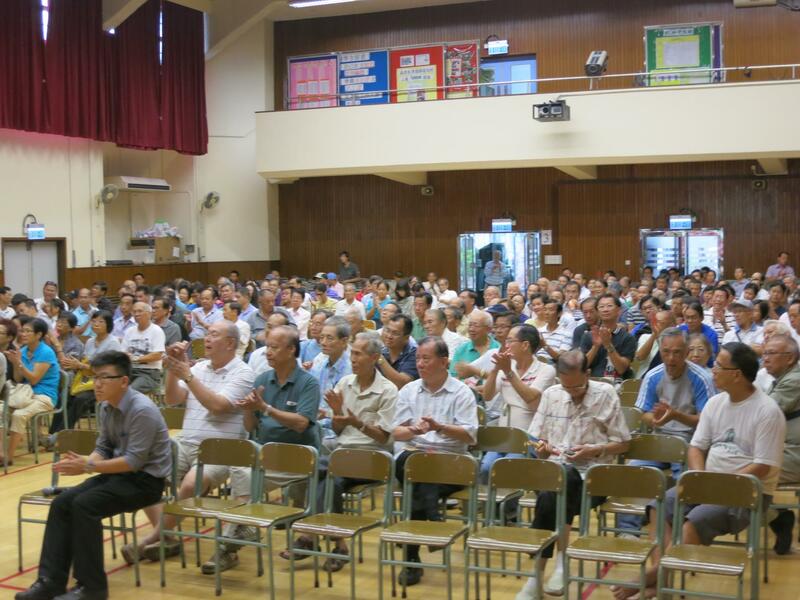 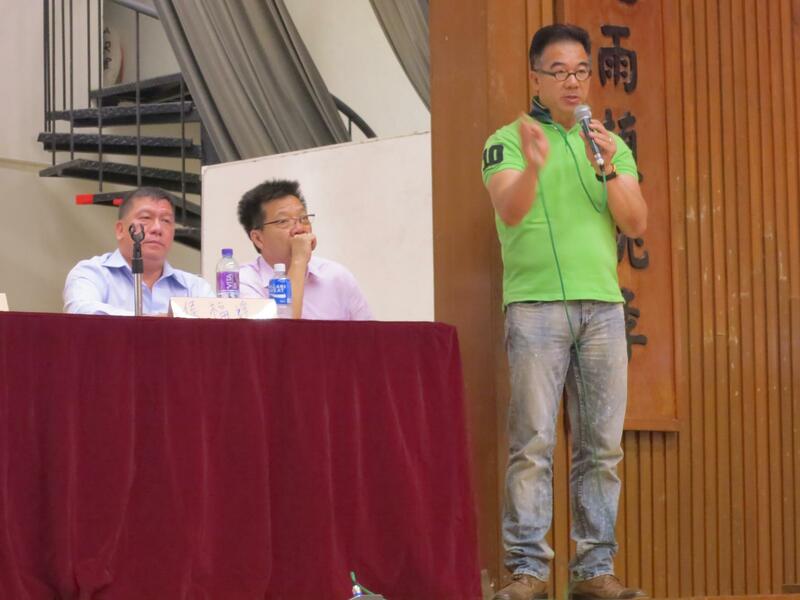 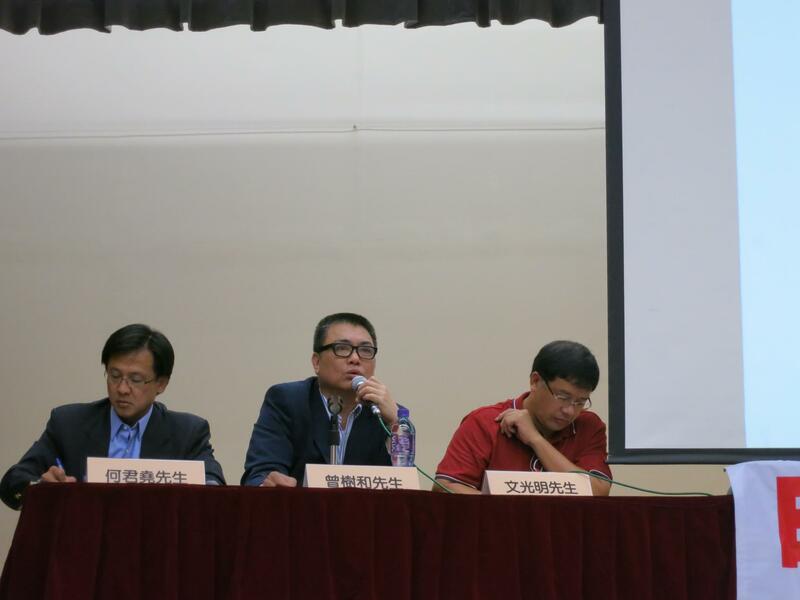 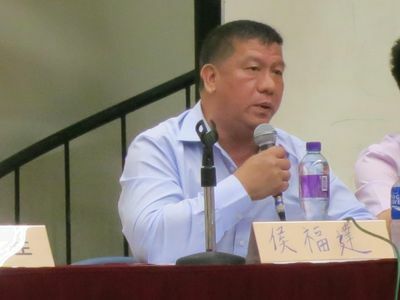 After running a very successful talk at San Tin Tun Yee School on 20th October 2012, the concern group ran another talk at Sheung Shui where more than 250 audiences attended. 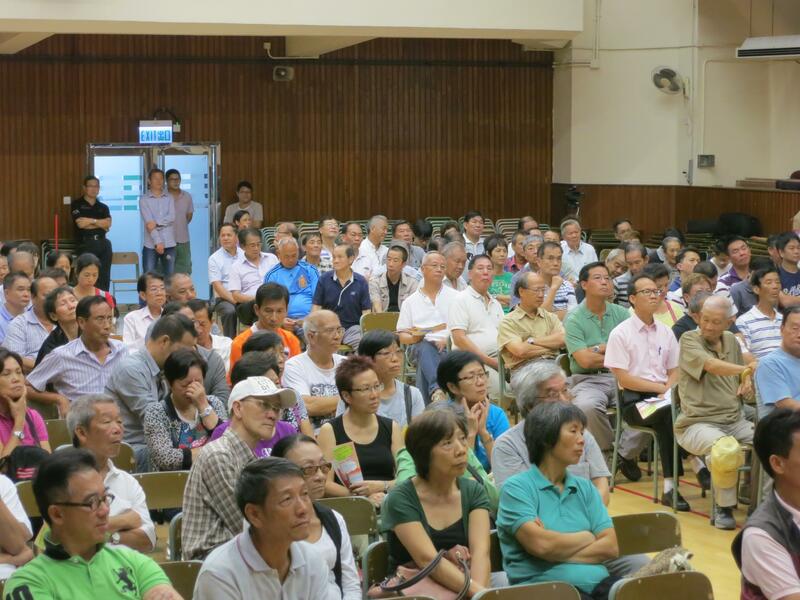 We took this opportunity to distribute our newly launched pamphlets for the campaign. To our surprise, all of our volunteer workers in San Tin, Ping Shan, Pat Heung and Sheung Shui were fully committed to disseminate the pamphlets. We were soon left with only two hundred copies after 20,000 copies were taken rather quickly. 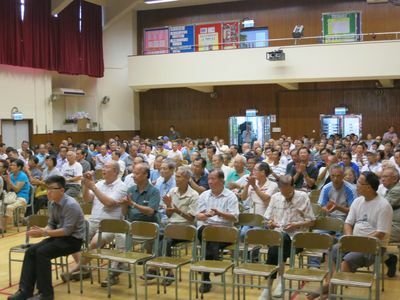 After the talk, we held a working party meeting to resolve that a gathering would be organised to take place in Yuen Long on 11th November 2012. 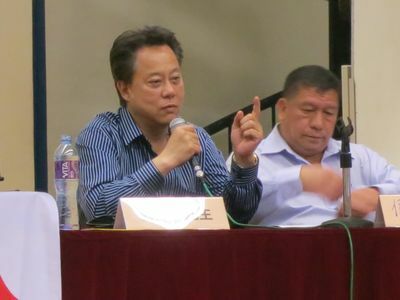 In order to promote effectively for the event, we will send broadcasting vans into various regions and villages and arrange for banners to be put up at the main road junctions to publicist the event. Mr. Tsang would also contact maxi cabs for the posting up of our posters. Hopefully, we can draw out over a thousand people to walk with us from Hop Yick Park to Yuen Long District Office to show our cause. 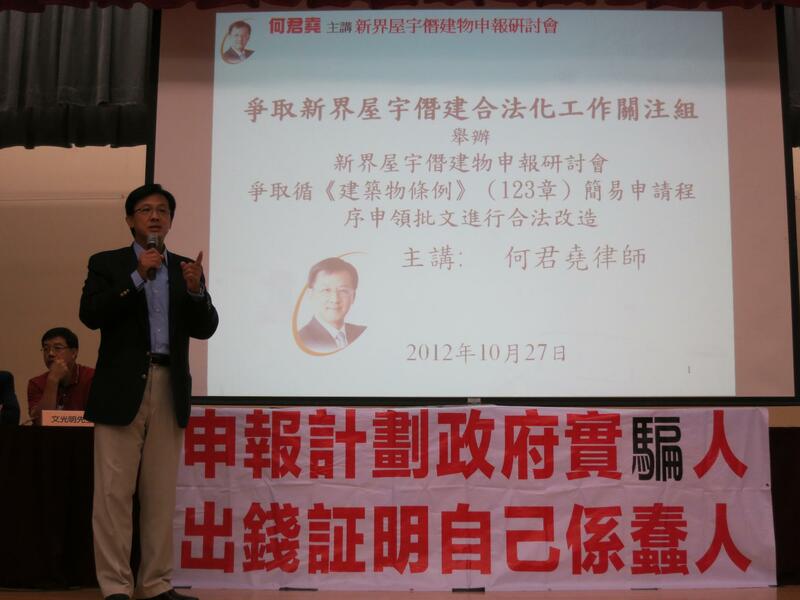 The venue at the Sheung Shui Fung Kai Liu Man Shek Tong was really an ideal and convenient spot for holding the talk.